Many people don’t know this, but although the tooth is a living part of the body, the interior soft tissue is not necessarily needed for the tooth to stay healthy. The interior pulp is mainly used tell the truth grow but once the tooth has reached full size, the pulp is not needed. Thus, when facing a root canal, there’s not much to worry about. Nothing regarding pain or long term detrimental effects should come across your mind. Now of course, you want to leave your mouth in the best overall condition, so while having a root canal is not such a bad predicament, do try to keep your self in good oral health. The cost of dental implants procedure is a good option for most people who have suffered the loss of a tooth due to tooth decay or trauma. One day dental implants are cost-effective in returning you to the way your smile once was before losing a tooth. We suggest dental implants for those people who are looking for a permanent solution to just one or a few missing teeth. Each dental implant will have to have on artificial root that is integrated into the jawbone, this is done under sedation dentistry. Therefore it is an ideal situation for just one single tooth. Dental insurance will often help out with dental implant cost, making this a viable option for most of our patients. However for a more comprehensive solution to filling in larger gaps of missing teeth, affordable dentures are often a good alternative. Teeth implants cost cannot be approximated, this is due to every case being individually different. To get the best idea of the specialized care you need we suggest scheduling a one on one consultation. Teeth caps. Often when a tooth suffers minor tooth decay or a slight breakage the cap is the least invasive and quickest solution to getting you right back to where you were. Denture. Dentures are a great option if you have had widespread tooth decay or massive tooth loss. The result is an appealing set of teeth that is removable. Permanent denture option is also available. Crowns for teeth. Similar to a cap, dental crowns are minimally invasive and straightforward procedure that are better option if most of the tooth is healthy and intact. Teeth replacement. We offer many dental procedures in order to fill in extracted or otherwise missing teeth. Denture repair. 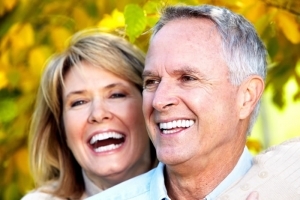 In addition to molding, fitting, installation we also offer denture repair. This is part of the long maintenance process in caring for your dental health. Teeth whitening. In addition to doing restorative works we are experts in improving the look of your smile with the elective cosmetic dentistry. We believe in ongoing training. Therefore, we are members of multiple organizations and dental associations that promote constant updating of our expertise. As a results our techniques are highly innovative, and are effective and efficient in providing you with the best restorative dental works possible. For a more personal consultation please feel free to reach out to us our contact form on the “About Us” page. We look forward to hearing from you!